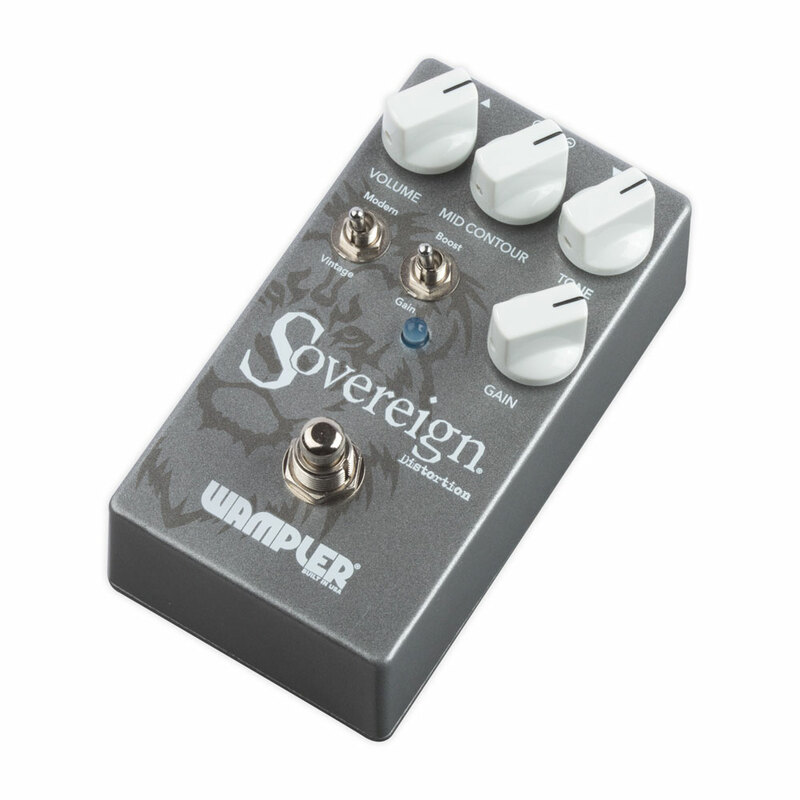 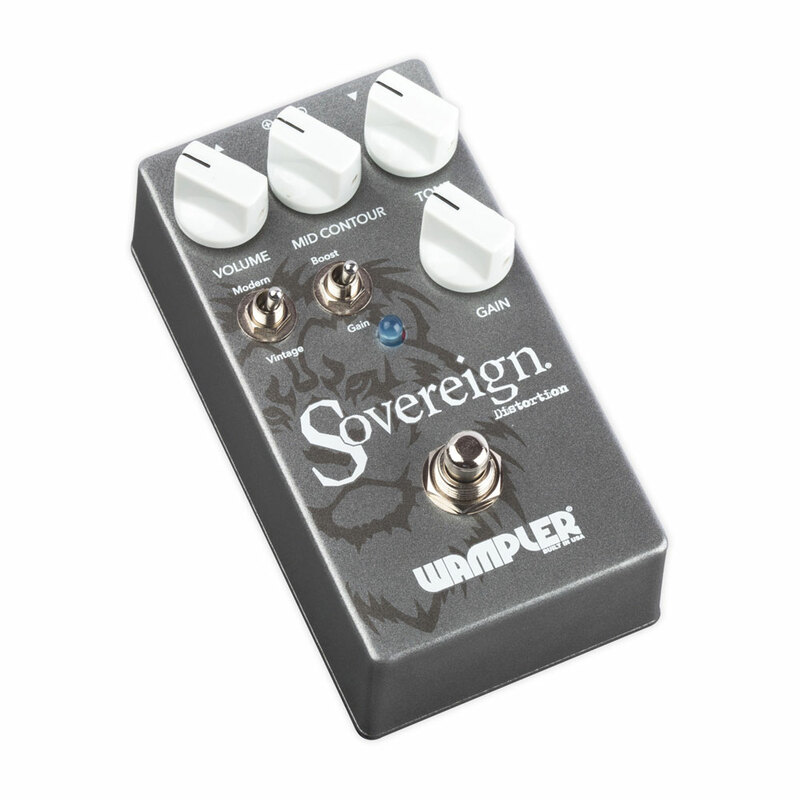 The Wampler Sovereign Distortion Pedal allows you to dial in a tone from modern distortion all the way back to classic overdrive tones. 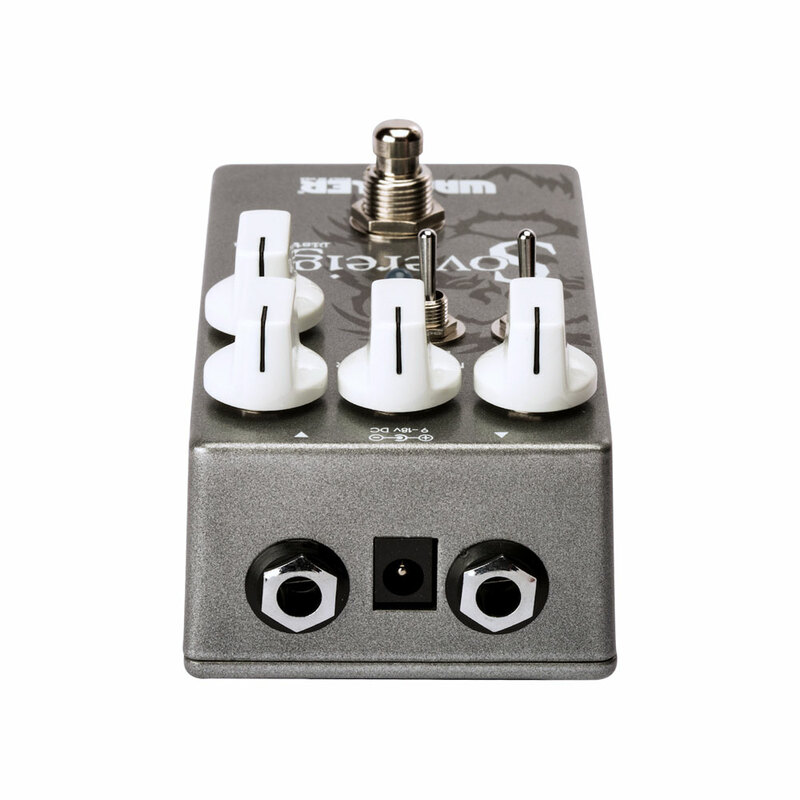 Featuring two gain stages via a boost switch, a mid contour control knob, Modern/Vintage tone voicing switch and volume, gain and tone knob controls for dialling in your sound. 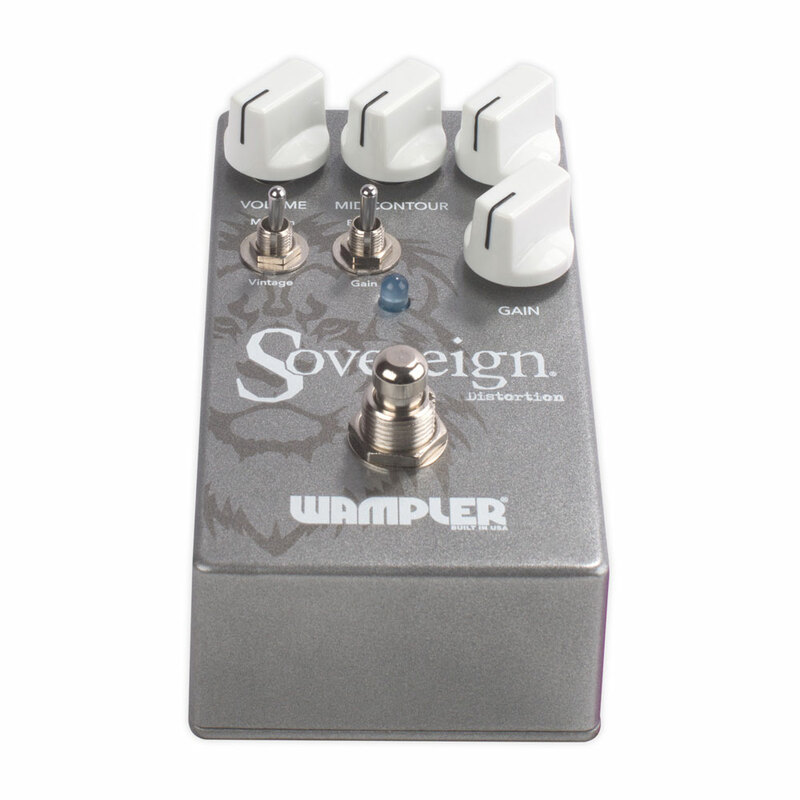 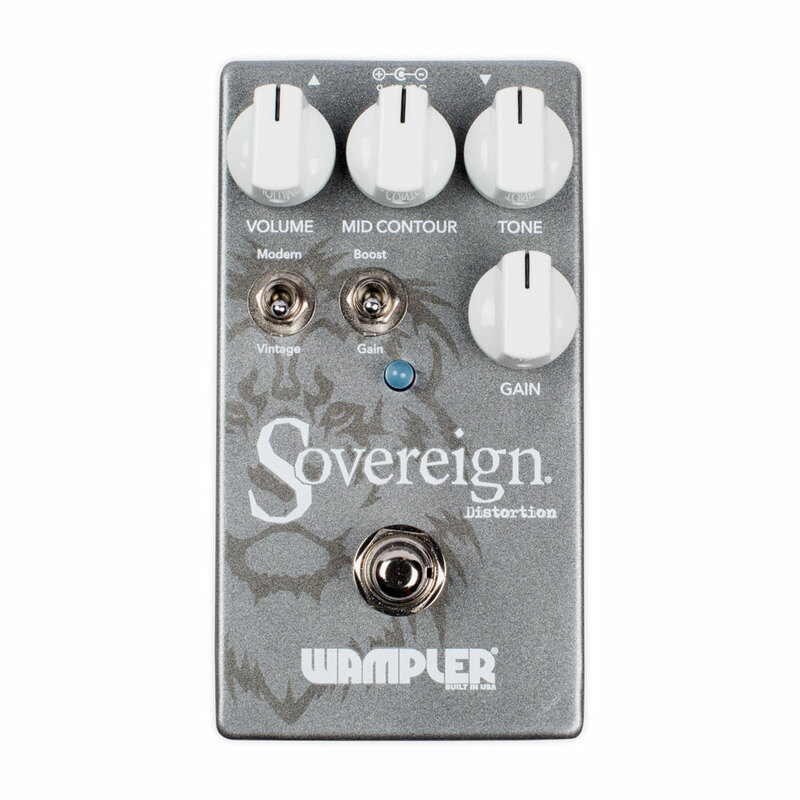 The Sovereign is a versatile and organic sounding distortion pedal.